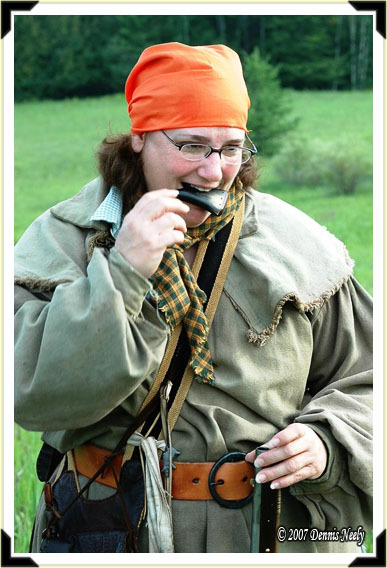 With her Chief’s grade trade gun loaded, Tami Neely reached for the flat priming horn she gripped in her teeth. Tennessee red quail hunt, Michigan Outdoor Writers Association Rogers City Conference, Old Northwest Territory, 1790s. This entry was posted in Snapshot Saturday and tagged Dennis Neely, historical trekking, Mountain Man, North West trade gun, Northwest trade gun, trade gun, traditional black powder, traditional black powder hunting, traditional blackpowder, traditional blackpowder hunting, Traditional Woodsman. Bookmark the permalink.